Say it ain’t so – a Canadian hockey team popular in the greater USA? 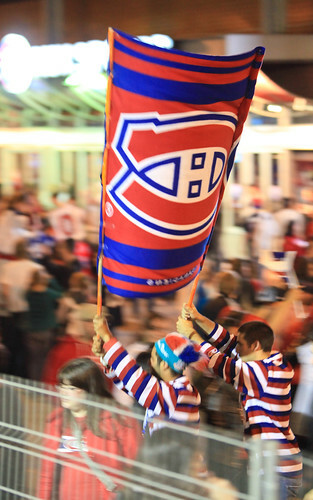 According to Google’s daily list of web trends, news about the Montreal Canadiens is one the hottest topics on the web. For those of you who are wondering what all the rage is it can be summed up in what many pundits have called destiny. In the annual rite of spring the top sixteen NHL hockey teams battle for a chance to sip champagne from Lord Stanley’s cup and become the season champion. For the winner the journey involves two months of fast paced, hard hitting, grueling non-stop action attempting to defeat four teams in four consecutive best-of-seven series. It takes the endurance of a marathon runner and the toughness of a UFC to endure one of the most physically demanding sports in the world. The Montreal Canadiens teams of the past have conquered their opponents for a record 24 times. Can they do it again and reach their destiny?